Two years ago, principal Diane Lau-Yee grew concerned when she saw how family tragedies were impacting her students at Gordon J. Lau Elementary School in San Francisco's Chinatown. “Some of the students were acting out their feelings of confusion and anger by starting fights with their peers, while other children shut down and stopped participating in class," says Lau-Yee. When children are struggling at home, it’s often harder for them to concentrate in school. And if kids experience trauma -- such as the death of a family member, divorce or witnessing family or community violence -- research shows that kids will have more difficulty tolerating frustration, controlling their impulses and managing their aggression. Lau-Yee wanted to equip her students with emotional tools that could help them manage these overwhelming feelings. So, she decided to enlist the help of a furry friend named Stanley, a therapeutic dog who is beloved by many children in the community. She hoped that Stanley could teach the kids about empathy, as well as nourish a deeper love of literacy among the students, too. While many people are familiar with therapeutic pets and how they can help lift up people's spirits, bringing them into the classroom might sound far-fetched. How can a therapy pet possibly teach children the life lessons of kindness and empathy? Can a pet really alter the way that students feel about learning? Educational therapist Rebecca Barker Bridges believed that a dog could help students feel more confident about learning, and so she adopted Stanley, a golden retriever. "I learned about therapy dogs from a colleague, and I knew that Stanley could help these children,” says Bridges. She also says that research on pet therapy shows that animals connect people to each other and that this bond strengthens their ability to work together. "Pets are very nonjudgmental, and their calming presence distills stressful situations," Bridges says. "For children who feel insecure about their capacity to do things like reading, therapy pets bolster their self-confidence, which reduces their anxiety." “Students feel self-conscious about reading because they’re afraid of being judged by students and teachers if they don’t do a 'good job.' But Stanley dismantles this fear for them. He makes learning joyful,” says Bridges. Lau-Yee had learned about Stanley through a colleague, and she invited Bridges and the dog to visit her pre-K, kindergarten and first-grade students during a school assembly. "I introduced Stanley to the students, and I read them a book that I wrote about his work as a therapy dog," says Bridges, whose book is titled "Meet Stanley: The Reading Dog." 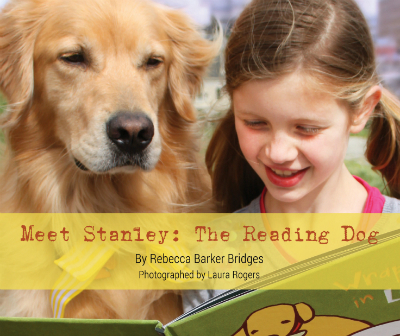 The book tells the story of Stanley's job as a reading dog and how he’s trained to listen to children read. The book also shares that Stanley is an expert listener who is always encouraging, supportive and patient with all children who interact with him. After the presentation, the students were invited to meet Stanley. Bridges says that Stanley’s presence sparked the children’s curiosity and that they asked him a lot of questions. “Stanley, what do you like to eat?” asked one student. “What’s it like to be a therapy dog, do you get paid for your work?” asked another. "Stanley, do you get a summer vacation from your job?" Bridges says that therapy pets allow children to focus on the animal instead of feeling self-conscious themselves. She says that this is a therapeutic distraction technique that relieves children of their worries, which helps their performance when reading. “Children love interacting with Stanley, and this connection also teaches them about kindness and empathy,” she says. Lau-Yee used Stanley’s visit as a way to create a social and emotional lesson for the students. Lau-Yee says that the teachers also used Stanley's visit to teach the students that there are many unconventional ways to learn things and that his visit also helped foster a love of literacy among the children. While Lau-Yee’s students were fortunate to meet Stanley in person, she says that he doesn’t need to make a physical appearance for students to benefit from his services. "Educators can read Stanley's book and talk about the ways that we can incorporate service into our learning with trusted friends, such as big buddies, peers and older siblings." 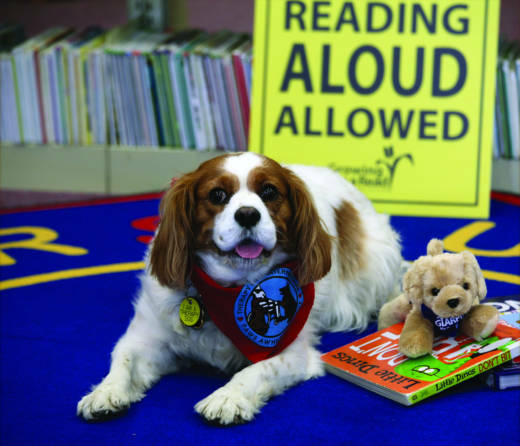 Several programs nationwide offer training and canines to help kids with reading, such as Intermountain Therapy Animals’ Reading Education Assistance Dogs program. There are also some organizations like Therapy Dogs International that have community programs called Tail Waggin' Tutors. 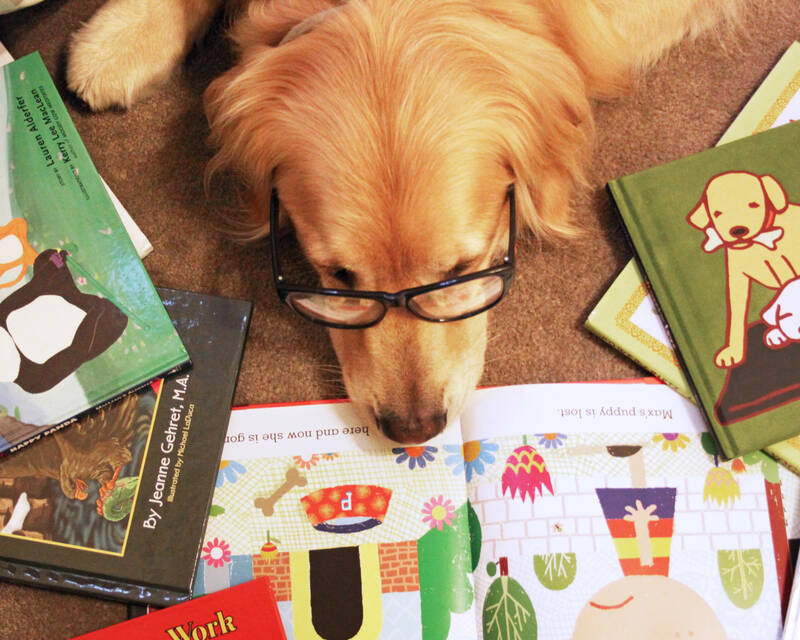 They provide therapy dogs that can help children learn how to read, too. Some schools have a no-pet policy, and in those cases, Bridges recommends using a stuffed animal instead. “You can apply the same principles to a stuffed animal. The most important thing is to give the child some space so that they can read to their pet (even if it isn’t a real one) in privacy, which helps them to feel safe,” she says.